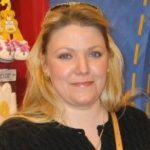 I am Joanne Linden..thank you for the opportunity to introduce myself and give you a little insight into what I do.. I help women of all ages, with thin fine hair and hair loss for any reason, to find and wear beautiful solutions and regain their beauty and confidence. I have spent my entire career researching and gaining education and experience in this industry. I decided to specialize in this area for women only, out of my own need to wear more hair. Please read about my hair thinning in the next section and see pictures of my hair extension procedure. I am a Hair Replacement and Hair Enhancement Specialist, who services women only. I provide high quality products and services such as wigs, hair pieces and hair extensions. These solutions help women with hair loss and thinning situations caused by stress, chemotherapy, health conditions, hormonal imbalances, trichotillomania, and many more. My qualifications include State Cosmetology Licenses in three states, and many Certifications such as Great Lengths, and MicroPoint Solutions. I have over 25 years of experience in the industry, and am considered by my peers to be among one of the most ethical and technically correct experts in the US. My focus at Transformations Hair Inc. is to provide the most technologically advanced services, procedures and techniques, while utilizing the highest quality products available. Wigs, hair pieces and toppers, and hair extensions are products that either enhance or ‘mask’ the effects of thin fine hair and hair loss. My clients visit me between one and six times per year to receive my services. Originally, I opened Transformations Inc. in my hometown of Pittsburgh, PA. My business there, Transformations Inc., specialized in this same special area of Image Enhancement and Cosmetology for over 25 years. Transformations Inc. was a PA licensed salon since 1989. Over the years, Transformations Inc. maintained an exemplary record with the PA State Board of Cosmetology, was awarded with a L.O.G.S. (Letter of Good Standing) Certificate, as well as an A+ BBB rating. In 2013, my husband was promoted to his company’s headquarters in Palm Beach Gardens, and we relocated to Florida. I now own Transformations Hair Inc. and my showroom is on US Highway One in North Palm Beach, where I have ‘All the Secrets of Fabulous Hair in One Special Place’. The majority of products and procedures that I provide are 100% human hair, with the exception of the MicroPoint products, which are a man-made fiber called Cyberhair specially designed and internationally patented for the procedure. 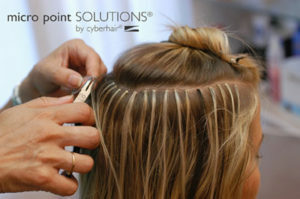 Transformations Hair Inc. is a certified Micro Point Link® and Micro Point Accent® Dealer, one of few nationwide. I would greatly appreciate the chance to meet with you to see what beautiful solutions we can find for you. Please spread the word! I get referrals from everyone, many types of Physicians, Medical Professionals and Salons/Spas. Almost everyone knows a woman who’s undergoing chemotherapy treatments or who’s experiencing hair loss for some reason. Tell a friend, she’ll be glad you did! And don’t forget, there are equally as many women who don’t have hair loss issues, they just want more luxurious hair to look fabulous in.